This is the final mailing of the Seasons Yarn Club ever – Sundara is doing something a little different next time around. I’ll miss it. It’s been so fun, getting to try all of her bases, but I understand her need to try something new creatively. For the last round of the club she sent out three skeins of Aran Silky Merino, which is 50% silk and 50% merino wool – pretty decedent stuff! I will be finding a new home for these. Pretty, but not my colors at all. I almost didn’t sign up for a summer subscription, but decided to go for it on the last day subscriptions were open. And I’m so glad I did. I’ve loved all the summer colors. This is a cornflower blue with lots of purple throughout, and the slightest hint of pink. 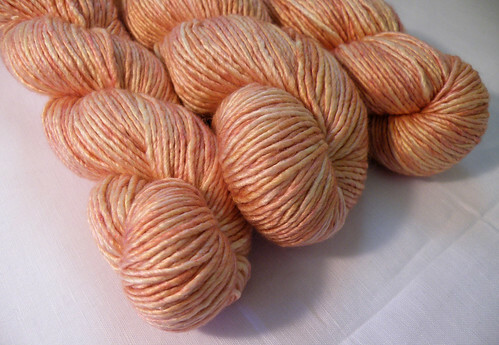 I bought three more skeins from someone on Ravelry, and I’m going to make myself a sweater, probably Liesl. And there should be enough left over for a scarf too! 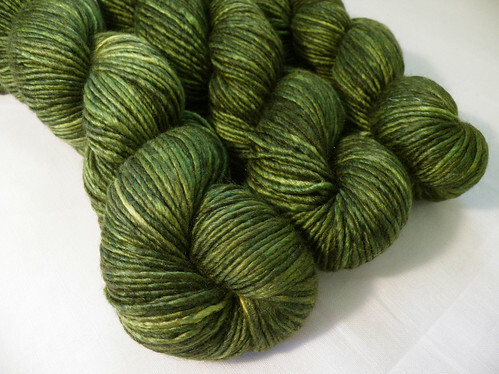 I love green, but this yarn isn’t speaking to me. Three skeins equals 600 yards, which means this would have to become some sort of scarf or shawl. That doesn’t excite me, and I’ve already found a new home for them. 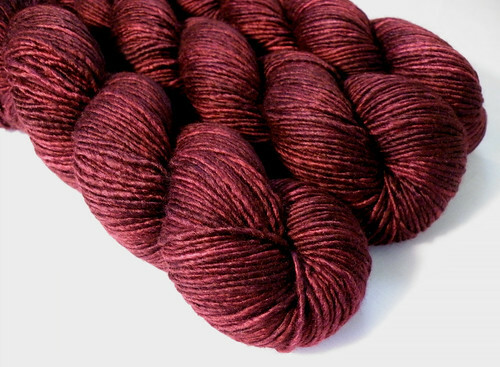 My first thought, before seeing this yarn in person, is that it would be perfect for Cherry Fizz. But now that I look at it, I’m not sure. Maybe I should use it for another Clapotis? Still looking for a home for sweet orange blossom? I would give it lots of TLC! Gorgeous stuff she creates! I signed up for this new round, but only for the Autumn and Winter. I think I’m going to have to put in a vote for Cherry Fizz. 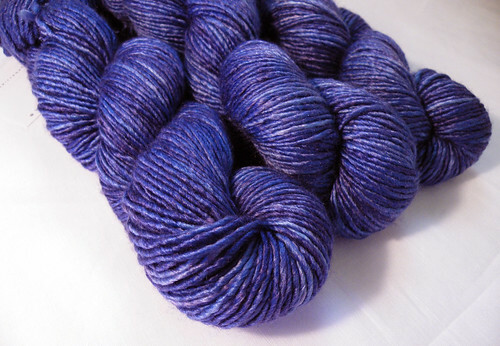 I’ve been giving some thought as to what yarn I’d like to make mine out of. It looks like such a great accessory.